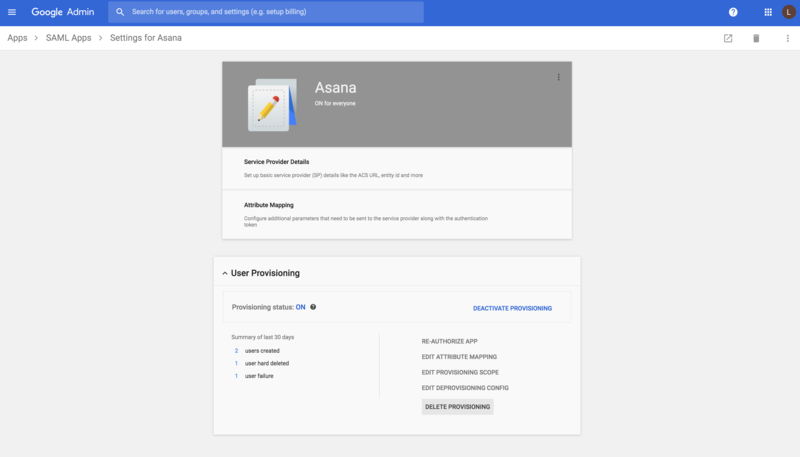 Why enable G Suite SAML + SCIM for Asana? Authenticate with your company’s G Suite credential, either via “Login with Google” or with SAML through G Suite. Use G Suite SAML + SCIM together to utilize additional admin controls such as provisioning and deprovisioning. Did you know that you can turn emails into tasks from within Gmail, all without leaving your inbox? Learn more. I am interested in learning more: Please contact our sales team.